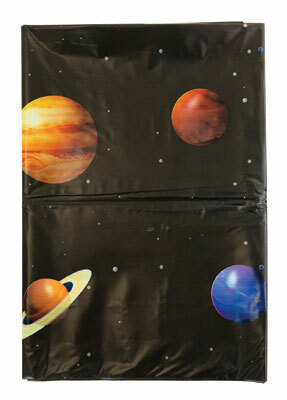 Adds instant intergalactic fun to craft time, snack time, or anytime. 54 inches x 108 inches. Plastic.